Why do we even tolerate this anymore? Re-classify this act as a act of terror;to be judged by the antiterrorism courts and punishable by the same which is done against terrorists. Both people are on a power trip, both are using weapons to do it, and even if they say they never 'intended' to cause any harm the end result is the same. 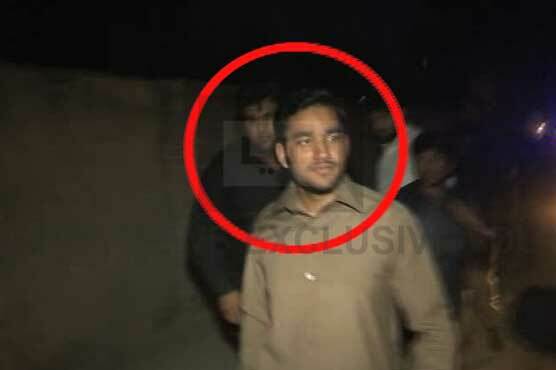 LAHORE (Dunya News) – Faisal Ayub, son of Pakistan Muslim League-Nawaz (PML-N) member Provincial Assembly (MPA) Saiful Malook Khokar was arrested on Saturday for aerial firing but was released without charge, Dunya News reported. According to details, Faisal was given VIP protocol at the police station when he was brought in for questioning for aerial firing. However, he was released without charge shortly. The police said Faisal carries license of the weapon and therefore charging is not necessary. "One eye man a king in blind man country"
No matter how bad your situation seems, there is always another for whom things are worse. Firing up in the air for no reason, is immature and irresponsible. If any one of you wish to fire without hurting anyone, i have a sollution. I know how to make wax ammunition. You can do it at home, easily. If i gain suffcient feedback, i sall post a detailed article on how to make it. You don't need many tools either. It is also a good way to practice at home. It just fires the wax projectile at 400 FPS and is primer powered only (no gun powder). Its our version of the 4th of july celebrations for the most part. You have stupidity with fireworks and guns, we only have guns. No real reason, they just do it for any sort of personal celebration; but with far less care then you lot. The safety first motto is ingrained into you at a early age in teh western lands, not so here. The people here do not even practice basic firearm safety, rifles are left pointing in a unsafe direction and no form of trigger/muzzle discipline is practiced. Hell, its considered feminine to wear ear and eye protection while shooting here. There was another thread about that here, one member shared his experience with the local and staying safe. The wax bullets are all fine and good, but you do have to clean out your gun more often and it cannot cycle a action, having to pull back the slide every time while shooting 9mm doesent help with realism. If you want to practice i suggest a replica pistol from tokyo marui or classic army, powered by batteries and shoots plastic bbs. the ammo is available cheaply, ( 12-20 dollars for 5000 rounds ) and charging and shooting can all be done at home. For those in pakistan, they can be bought of Dx.com, just make sure to be able to explain yourself to the authorities if you get a policeman knocking at your door. ^very true Sir. There is no lack or shortage of stupid in america. Also true most of us are trained properly early on......on the rules of gun safety and shooting and proper handling. Funny my grandfathers thought ear and eye protection was weak as well. Course both of them were about deaf by the time they died. Course they didn't shoot as much as we do today. I put thousands of rounds a month downrange at indoor ranges. Without hearing protection I'd be deaf by now. Inner city folks here in then state's like to shoot in the air. Im often amazed as its not rocket science to understand that bullets come back to earth and they will kill or seriously injure someone. Guess if one doesn't care if they kill or injure innocents like women or children.......they just don't care. So be it....I'll never have innocents blood on my hand's from owning and shooting guns. Those who shoot in the air suffer from a mistaken belief that the craters on the moon are from their weapons. I have tried my level best to teach people not to do so. But generally am ridiculed. There are some who have never been to a range. So dont even know what range shooting or gun safety is all about. taking them to the range is I have noticed, the best soultion. Once u have had a range session. U would not want to waste ammo. Shooting the moon. As for ear eye protection. I always carry a few extra glasses and ear muffs. The "Macho" crowd more often then not end up borrowing them. Peoples have very easy access to wepons but no access to shooting ranges. or more people will have access to shooting range. Where rest of people practice their shooting skills? Not so. I believe they are from a secretive cult that seeks to carry out the message portrayed in the historic 2010 film, despicable me. I believe the moon has somehow crossed them. or taken something from them. They may just be poor people who have to sleep outside but prefer pitch darkness, and so seek to destroy the moon. Just read in the news, groom killed by aerial firing, probably his own gun. PML-N MNA urged the House to take practical steps to halt aerial firing. 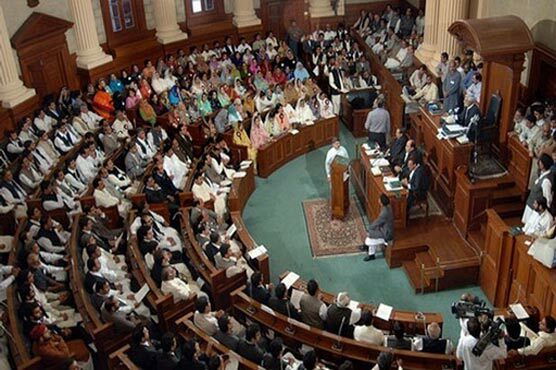 LAHORE (Dunya News) – A resolution to declare aerial firing as non-bailable crime has been submitted in Punjab Assembly today (Monday), Dunya News reported. MNA of Pakistan Muslim League-Nawaz (PML-N) Ejaz Ahmad presented the resolution while stating that aerial firing incidents have escalated in the province as the culprits get bail after committing this crime. He further urged the government to halt this ongoing felony by taking strict action against those who commit it. gaari k aggay agogy to marrna to hai he. he didnt follow basic safety rule and faced the reality. its more of safety hazard than hawae faring hazard. Bullet entered through an eye passes the ear.